Gain key insights into your business using easy-to-scan charts and graphs from our financial reporting scorecard. Imagine, no more waiting for reports that arrive too late, or provide too little detail to be actionable. GrowthForce will help you can gain key insights into your company’s financial health with easy-to-scan charts and graphs – so you can make strategic business decisions. We will customize your financial scorecard with charts and graphs powered by your QuickBooks data, as well as integrating your payroll and timekeeping information. These powerful financial Key Performance Indicators (KPIs) give you a quick snapshot into the financial well-being of your business. 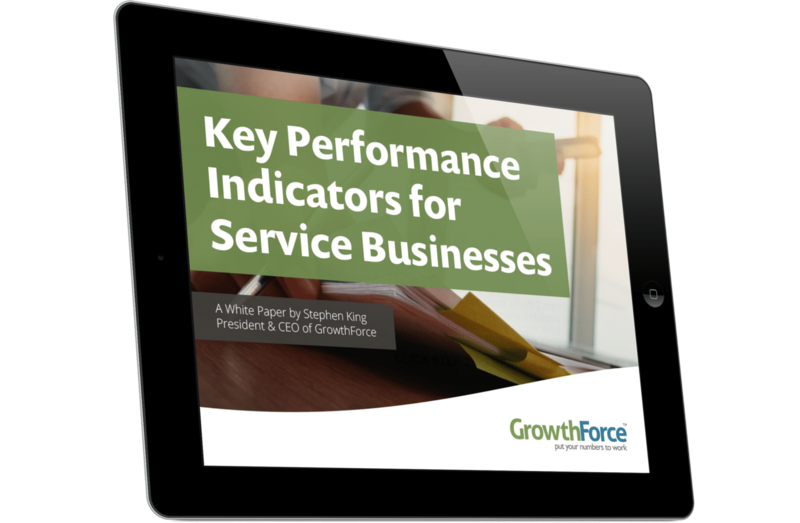 Your GrowthForce Team will deliver your financial scorecards and KPI reports at the end of each month in a simple to read graphical format, showing exactly what you need to know to make informed financial decisions. KPI charts track your actual results by month (sample chart). Trailing Twelve Months (TTM) Reports compare your twelve month total for current month vs. prior months, eliminating the seasonality of your results. Trend Line Charts help even the most non-financial person on your team to tell if business results are trending up or down. We can create a Trend Line graphic for any report, at a minimum: Total Revenue, Gross Profit and Net Income. We can also add a Trend Line to your TTM to show the overall trend of your business. We'll also help you understand the implications – turning financial data from your financial dashboard into business insight. We'll schedule a monthly call or video conference with a member of your dedicated team to make sure you keep your eye on the key metrics and to answer any questions. Your reports will also support your CPA in their role to help you reduce your taxes and be the proactive trusted advisor you need them to be.